After Aretha Franklin died last week, MTV’s Video Music Awards producers scrambled to plan a tribute that would air during the network’s annual telecast on Monday night. The stakes were high to honor the great soul singer – and unfortunately, thanks to a bizarre speech from Madonna, it didn’t go so well. 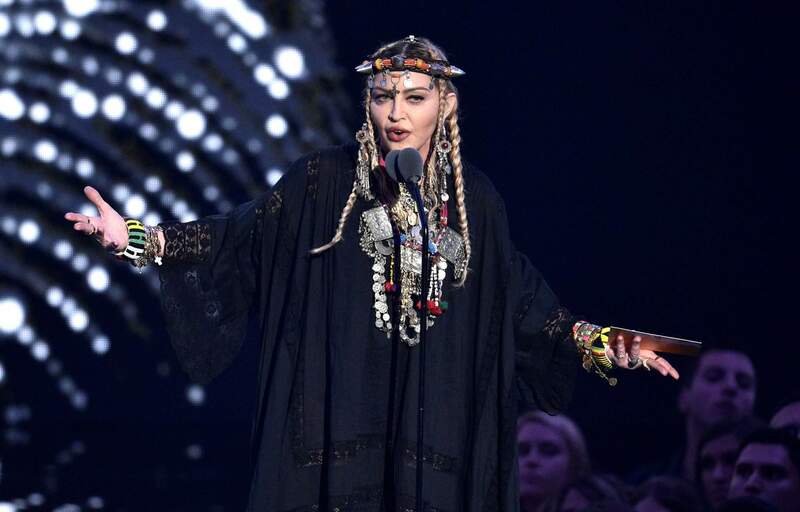 Instead of ending there, Madonna went on with an unrelated anecdote about a wardrobe malfunction at the 1984 VMAs while she was performing “Like a Virgin.” While this seemed to go over well among those in the VMAs audience, many people watching at home were not too happy. I could see that they did not take me seriously. And why should they? Some skinny a- white girl is going to come up here and belt out a song by one of the greatest soul singers that ever lived? A cappella? I said, “B--, I’m Madonna.” No, I didn’t. I didn’t say that. ’Cause I wasn’t Madonna yet. I don’t know who I was. I don’t know what I said. I don’t know what came over me. I walked to the edge of the pitch-black stage, and I started singing.